We join together as a whole school to worship together daily. Jack The Puppet Puppy has returned to our school. He will be looked after by Year 6 and each week he will lead a willing group of Y6 children to Reception Class where they will teach the younger children prayers and stories from the Bible. 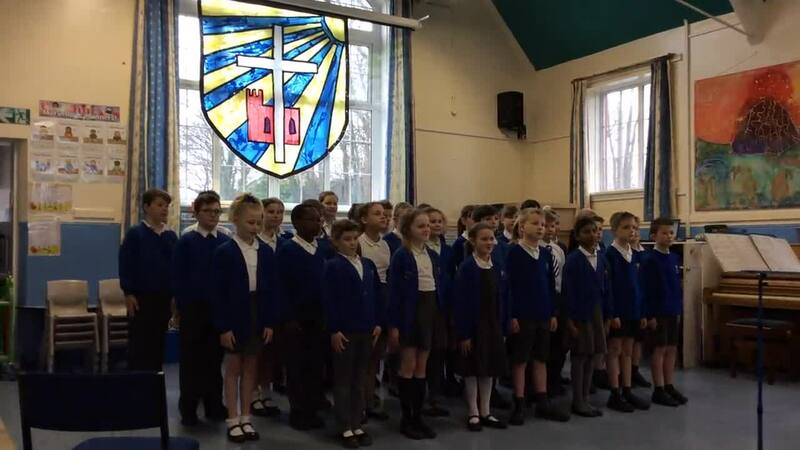 Year 6 are very keen to do this - when Mrs Gilmour asked for a small group of volunteers to be in the Worship Group, the whole class volunteered! Members of this group will also be involved in Puppet Praise at least once each half-term. Thank you to everyone who came to the Carol Service last night. It was a lovely event, and the children did a fantastic job of retelling the Christmas story. We sang carols new and old and the children shared the prayers that they had written. "I leave you peace. My peace I give you. I do not give it to you as the world does. So don’t let your hearts be troubled. Don’t be afraid." This year, we are pleased to announce that all KS2 children are taking part in the Bishop's Bible Challenge. Click here to find out more about this initiative to get more young people reading the Bible.